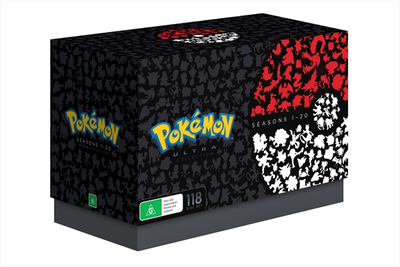 Description Relive Ash and Pikachu’s adventures in this ultimate Pokémon collection! 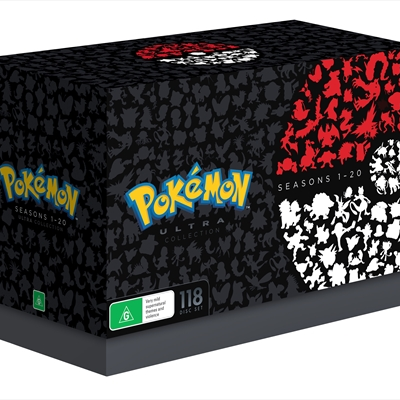 Comprising of the complete seasons 1-20, join our intrepid duo as they journey across Kanto, the Orange Islands, Johto, Hoenn, Sinnoh, Unova, Kalos and now Alola! 小さな三匹、大きな冒険! !A Tiny Trio on a Big Adventure!! ニャビー、旅立ちの時！It is Time for Nyabby to Set Off! カレーなバトル！ラランテスの舞！！A Curry-zy Beautiful Battle! The Dance of Lalantes!! Trials and Determinations!ライチの大試練！一番ハードなポケモン勝負！！Lychee's Grand Trial! The Hardest Pokémon Match Ever!! イワンコといのちの遺跡の守り神！Iwanko and the Guardian Deity from the Ruins of Life! 家出のマオとヤレユータン！Mao the Runaway and Yareyuutan! アシマリ、オシャマリ、いかりのダダリン！Ashimari, Osyamari and the An-chor-gry Dadarin! When Regions Collide!ジムバトル！Ｚワザ対メガシンカ！！Gym Battle! Z-Move VS Mega Evolution! !